Funny new videos featuring David Copperfield, Fabio and Dolf Lundgren prove there's life after the 1980s. David Copperfield's "Harry Potter" parody video is no illusion. 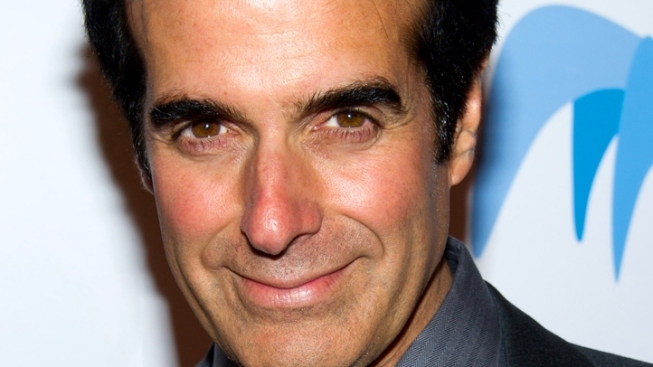 David Copperfield would like to make Harry Potter disappear. “Recently, a little snot-nosed punk has been trying to steal my thunder… he ripped me off,” Copperfield snarls, noting he wielded an invisibility cloak years before the first Potter book hit shelves in 1997. Copperfield's Potter problem is unveiled in a new video on Funny or Die that while far from magical, generates a healthy amount of laughs – especially when he vows to send Harry’ creator, J.K. Rowling, a cease-and-desist letter via owl. The fun effort comes amid a mini-spate of self-mocking videos featuring semi-celebrities like Fabio and Dolf Lundgren, whose long fade from the peak of fame began not long after Copperfield's Statue of Liberty vanishing act. The videos suggest there's life after the 1980s – at least online – for one-time stars willing to poke fun at themselves. Fabio, who has long played along with the comic absurdity of his unlikely fame, showed up this week in YouTube videos pitting him against the current humorous hunk of the moment, Old Spice guy Isaiah Mustafa. Their online popularity "duel" basically marks another installment in the amusing body wash commercial series. “Welcome to your nightmare, starring Fabio, with story written by Fabio and directed by Fabio, stunts done by Fabio – delicious catering, including homemade treats and sliced fruits, of course, by Fabio,” Fabio declares. Lundgren, whose comeback began last year with “The Expendables,” re-emerged this week to hawk the Discovery Channel's upcoming "Shark Week" in a clever "Hangover" parody posted on Funny or Die. He stands in for another intense 1980s pugilistic throwback who has developed a latent sense of humor – Mike Tyson – while invoking his “Rocky IV” catchphrase. “You guys stole my shark. Now I must break you,” Lundgren announces.